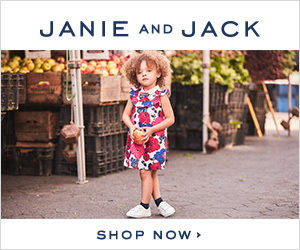 Janie and Jack - Free Shipping, No Minimum! Hurry over to Janie and Jack today only and take advantage of the Free Shipping offer. Valid through 3/9/15. Pictured: Honey Bunches of Oats, Great Grains, and Fruity Pebbles. Inclides: 13gal/38 or 45pk, 30gal/28pk, or 39gal/18pk.